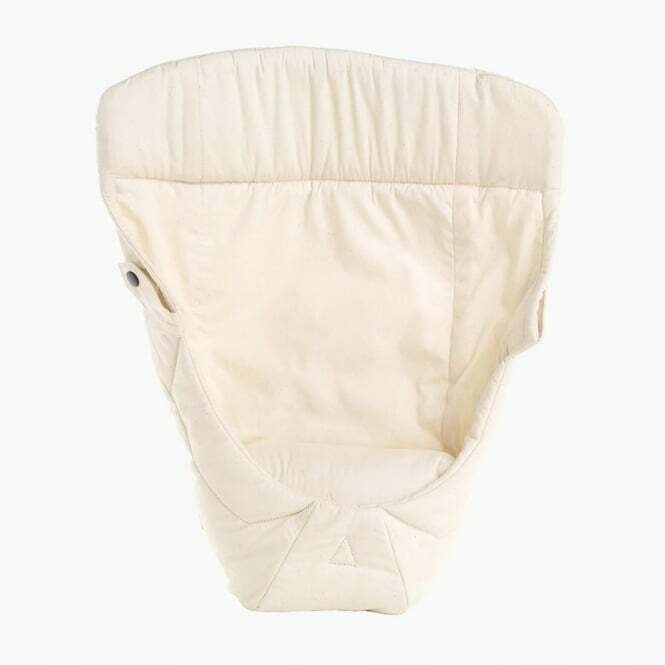 Ergobaby Original Easy Snug Infant Insert keeps your newborn baby snug and secure whilst using with any Ergobaby Carrier. Suitable for use from 3.2 to 5.5 kg, or babies more than 5.5 kg but younger than 4 months without strong head and neck control. Why should I choose the Ergobaby Original Easy Snug Infant Insert? The Ergobaby Original Easy Snug Infant Insert allows you to carry your newborn bubba both ergonomically and comfortably. Acknowledged by the International Hip Dysplasia Institute as 'Hip Healthy', this infant pillow helps to keep baby seated in the recommended 'M-Shaped' position. It also shapes features the ergonomic positioning of the C-curved spine - plus, baby will be close enough to kiss! This Baby Carrier Accessory by Ergobaby keeps your little one in a soothing, nest-like environment for a cosy and comfy transition to the world from the womb! As well as this, its fan-shaped design securely attaches to any Ergobaby Carrier, and comes ready to use! Simply attach the insert onto the carrier with the provided snap clips. This will transform your Baby Carrier into a comfortable newborn environment whilst allowing for more airflow! Plus, it provides all the extra thigh, spine, head and neck support for your baby in their earlier months. What's more, the Ergobaby Original Easy Snug Infant Insert is completely removable and machine washable for your convenience, and for any of those inevitable spills. What are the specifications of the Ergobaby Original Easy Snug Infant Insert?